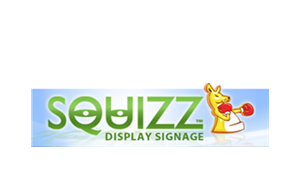 Squizz (Australian slang for “take a look”) Digital Signage is a simple but powerful solution for small business digital signage. It combines affordable hardware with simple to use software that helps small businesses implement a digital signage solution quickly and easily. Squizz hired FireStart to after being live for about a year to jumpstart their entire startup marketing strategy, crystallize their messaging platform, help to improve website user traction and expand their digital footprint through content marketing and social media.